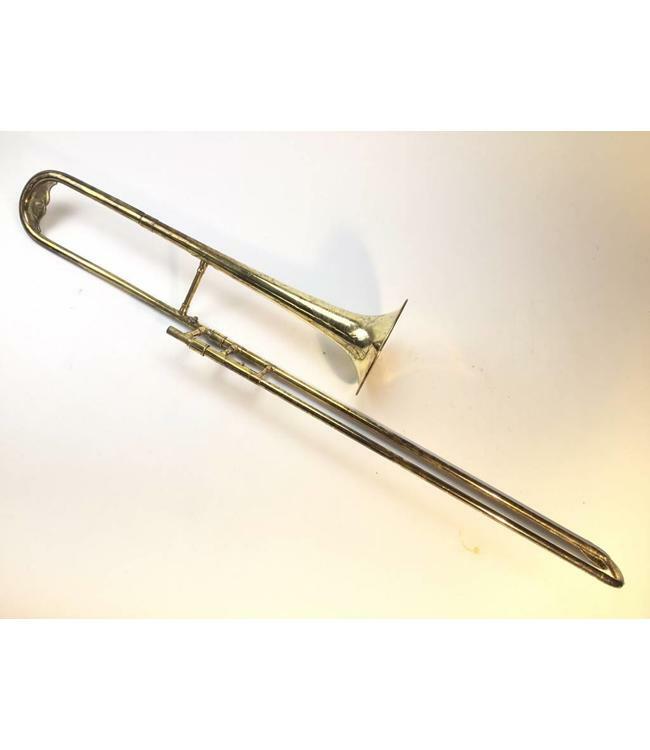 Used Buescher "The Buescher" Model 410 Bb Tenor Trombone in Gold Plate. .485" bore tuning-in-slide hand slide, 7" bell flare with beautiful hand engraving. Instrument is in good condition apart from minor tarnishing throughout and some wear on inner slide stockings, not affecting playability. Very rare horn. Comes with case.